France’s centrist president has come under heated criticism for honoring a World War I general who later became the leader of France’s Nazi-occupied Vichy regime. 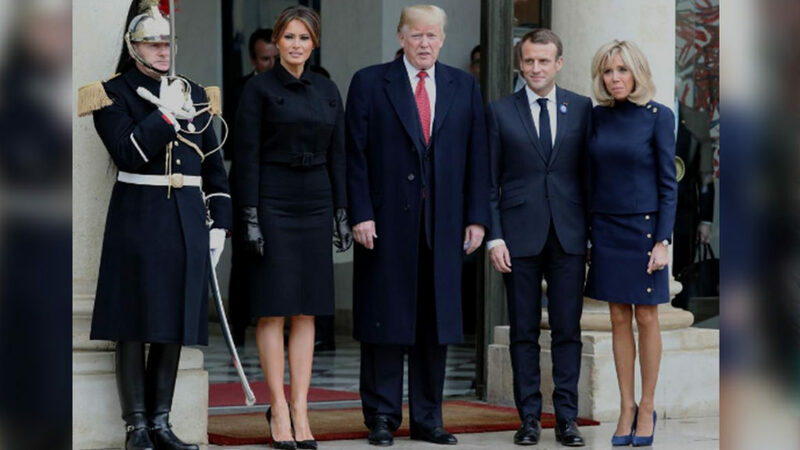 This comes at a time when U.S. President Donald Trump is taking a trip to France to join other world leaders commemorating the 100th anniversary of the end of World War I. French President Emmanuel Macron announced on November 7 that he planned to commemorate Marshal Philippe Petain. This is a French general who is to be commemorated for his role in leading the French army during the nine month Battle of Verdun in World War I. He eventually helped defeat the German Army at the cost of about 140,000 German troops and more than 210,000 French troops. Well at all which I believe the most where he is battle of the First World War. However, Petain’s career was not over after World War I. In the Second World War, when Germany invaded France and conquered Paris, as well as the northern and middle parts of the country, the south of France surrendered to the Nazi German empire. The notorious Vichy regime was established in the south of France, while also presiding over the French colonies in North Africa, which were crucial to the Nazi war effort in their advance toward Egypt. And Henri Philippe Petain was appointed the chief of state of the Nazi Vichy government between 1940 and 1944. He was therefore the highest ranking French Nazi collaborator. Macron’s decision to honor Petain caused an uproar inside France, where during the recent presidential election the chief opponent of Macron, the far-right leader Marine Le Pen, actually caused a similar scandal when she argued that France bears no responsibility for the crimes committed against Jews during World War II, only the individuals who were in charge at the time. She tried to distinguish the two. Petain, as the leader, would be complicit in sending Jews to concentration camps. In response to this backlash, the Macron administration backtracked and claimed that now it will not honor Petain this weekend at its 100th anniversary commemoration of World War I. In an attempt to calm the fires, President Macron gave a short statement to the press on Thursday. Here’s that clip. Joining us to get more context for this, and to understand the historical context, we’re speaking with Adam Hochschild. Adam Hochshild is a renowned historian, journalist, and author. He is the author of nine books. His latest, Lessons From a Dark Time and Other Essays, was published this October. And he also has a book on World War I which was published in 2011 titled To End All Wars: A Story of Loyalty and Rebellion, 1914-1918. Thanks for joining us, Adam. ADAM HOCHSCHILD: Good to be with you, Ben. 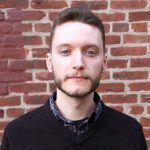 BEN NORTON: So can you respond to this? And let’s talk about the context. I mean, there’s a lot to address first, before we get to the context of World War I, of the battle of Verdun, of who exactly, you know, what exactly Macron is honoring. Let’s just talk a little bit about Petain’s role during World War II, and specifically as the leader of the Nazi-collaborating Vichy regime. ADAM HOCHSCHILD: Petain’s a peculiar character in French history, because he was very much a hero during the First World War to French people, and a villain during the Second. During the Second World War he was the leader of Vichy, France. That is, as you said, the regime which collaborated with the Germans; most notoriously assisting the Germans in rounding up French Jews by the hundreds of thousands, including Jews from other parts of Europe who’d taken refuge in France, and who had not been able to get out of France because the United States and other countries were not hospitable to them. And they were sent to concentration camps with the aid of police who were reporting to Marshal Petain. So I think he deserves a pretty ignominious place in history for that. And in fact, after the war he was sentenced to death for his collaboration with the Germans. Then the sentence was commuted to life imprisonment, and he died in custody at the age of 95 or so. During the First World War he was a great military hero to France in large part because he was able to suppress and defuse a mutiny which broke out in the French army in 1917, where tens of thousands of soldiers refused orders to go into battle. One group hijacked a train and tried to drive it back to Paris. They for the most part stayed in their trenches, but said they would not take part in further suicidal attacks, these human wave attacks over the tops of the trenches in which soldiers were just mown down like stalks of hay. Petain very shrewdly defused this. Some mutineers were punished. Some were sentenced to punishment, to be shot, but then their sentences were commuted so the soldiers ended up grateful to him. He increased the quality of the army’s food, he make sure that soldiers got leave. And this mutinous spirit in the army calmed down. And that was really his great achievement. Winning the Battle of Verdun when, you know, there are hundreds of thousands of soldiers who were killed on both sides, and very little territory was gained or lost, I think it’s hard to speak of a battle really being won. But the French prefer to remember his First World War period that way because it sounds a lot more glorious than reminding people that there was this large mutiny in the French army which Petain managed to put down. BEN NORTON: Well, you raise a very important point of the context of World War I; that’s the mass opposition to the war. Of course, much of the international left at the time said this was an inter-imperialist war. W.B. DuBois would later say that it was a war over colonies, specifically African colonies, and other colonies. We saw France and Britain carve up the former colonies of the Ottoman Empire. So let’s talk more about World War I and the opposition to it. In your book you speak a lot about the antiwar opposition. The context for all of this is, of course, that Macron and Trump now are going to be commemorating the centennial of the war. It was an absolutely devastating conflict. Now it is kind of seen as a prelude to World War II, so the horrors of World War II kind of have diminished the horrors of World War I just by the severity of the Second World War. But you know, the degree to which this really devastated France, Germany, and other parts of the continent, it’s hard to overstate. So why do you think Macron would be looking for war heroes and generals and commemorating them as heroes rather than honoring the people who helped bring about the end to the war? ADAM HOCHSCHILD: Well, unfortunately, all countries seem to like to honor military heroes and military heroics, and to assume that all of the wars they fought in were virtuous and worth fighting. But in fact, if you look back through history, I think most of us would agree that 90 percent or so of wars were not worth fighting. And I certainly feel that way about the First World War. There was no reason for it. It didn’t have to happen. In June 1914, all the major powers in Europe were getting along with each other quite well. Britain and Germany were each other’s largest trading partners. You know, there were 50,000 Germans working in Britain because they could earn higher salaries there than they could back in Germany. The royal families of Britain, Germany, and Imperial Russia were all cousins. They had vacation together and the royal families in Germany and Russia had great deal of power; absolute power, in the case of Russia. No country openly claimed a piece of the territory of another in Europe. So there was really- none of the traditional reasons why wars start existed. But after the Austrian Archduke was assassinated in Sarajevo, in the next five or six weeks there was the most incredible chain of blunders, threats, ultimatums, miscalculations, and the soon the whole continent was in flames. And then the war went on for four and a half years. It caused casualties six times as many as any previous war in Europe had caused. It left large swaths of the continent devastated, because as armies retreated they left scorched earth behind them, blowing up buildings, poisoning wells, cutting down fruit trees so there would be nothing useful to the enemy advancing into that territory. So you had this immense devastation, not to mention more than 9 million soldiers killed, some 21 million wounded, millions more civilians who died; and then above all this reservoir of bitterness and resentment that was left behind in Germany, which Hitler manipulated very skillfully to gain power. And I think it’s hard to imagine the Second World War and the Holocaust happening without the First. The devastation it left behind it, the need for scapegoats, and so on. So at this Armistice Day anniversary that’s coming up, I’d like to see war resisters honored rather than people like Marshal Petain, who fought the war. BEN NORTON: Yeah. Let’s talk more about World War II now. Petain wasn’t just a passive leader during the Vichy regime. He in fact organized a volunteer brigade to fight alongside the Nazi German army against the Soviet Union, and he raised the militia to help repel Allies who were landing to try to fight for the liberation of France. So do you believe that Macron is trying to honor him not just because of his World War I role, but also as a way of maybe trying to appease and reach out to far-right voters as we saw Marine Le Pen do in the previous election? ADAM HOCHSCHILD: I have no idea what was in Macron’s mind, because you’re right that Petain did all those things you mentioned. In addition, he ran a very authoritarian right-wing regime that was sort of- imagine President Trump in power in France during that time without having any checks and balances on him. That’s the kind of regime that Petain ran. What was in Macron’s mind honoring him? I do not know. I would at least give Macron credit that this week he’s also assembled world leaders in Paris on the anniversary to have a little peace forum, I think he’s calling it; trying to use the anniversary to say we need to talk about mechanisms to make sure that a world war like the one that ended 100 years ago doesn’t break out today. I think that’s a good thing to do. Notably, President Trump, the last I saw on the news, when he goes to Paris is going to snub the peace forum, and just meet with Macron and go to a ceremony honoring the American troops. And I suspect Trump wants to see another military parade, because he so much enjoyed that Bastille Day parade in Paris a year ago that he wanted one of his own in Washington. BEN NORTON: Yeah, and let’s shift a little bit. I want to talk more about the history of French colonialism, because it’s not just the history of World War I and World War II that Macron is whitewashing. He’s also done this for France’s colonial past. Recently, in fact, on a visit to Algeria, Macron told a young Algerian that it’s, quote, “time to move on,” rather than acknowledge the crimes committed by France for over 100 years of colonial rule. And Petain plays a role in this as well, because the Nazi-occupied Vichy regime was also very important for the overall Nazi war machine. French colonies played a big role, not just for France, but for the Nazis during World War II. So do you think that there is a kind of similar attitude toward the role of France as, as you know, a Nazi-occupied and collaborating regime in World War II, and also the kind of indifference toward the hundred years of crimes committed by French colonialism in North Africa? ADAM HOCHSCHILD: I certainly think in all of the European countries that were former colonial powers- France, Britain, Germany, Spain, Portugal, Italy- there is a great deal of indifference towards what those colonial regimes were actually like and how brutal they were. And you can say exactly the same thing about the United States, because we had a colonial empire of sorts which we won from Spain in 1898, and the Philippines were an American colony for half a century. Filipino independence advocates fought a war in vain, 1890-1902 or so, trying to gain their independence. It was repressed with enormous brutality. Hundreds of thousands of Filipinos were were killed. Torture was routine. And this is the kind of thing that is totally absent from American high school history books. And to some degree you can say the same about the experience of colonization as it’s remembered and thought about by Europeans. Petain/ played a role in that. He led French forces in an anti-colonial war, or in a war suppressing a rebellion in Morocco, in the 1920s, and the military forces of France were deeply engaged in fighting colonial wars in Morocco, then in Algeria during the ’50s and ’60s. Petain was not involved in that, of course. And in Indochina, where we followed up and took over that war from them, so to speak. BEN NORTON: All right. And then concluding here, I’m wondering if you could just talk a bit about this commemoration that we’re seeing. You said that it would be much more appropriate on the 100th anniversary of World War I to honor those who resisted the war. So we’ll see that Donald Trump will likely be giving a speech. He’s attending the ceremony this weekend. If you could tell Donald Trump, and he would actually listen, which is of course up in the air, but if you could tell him to say anything for this speech commemorating the end of World War- the 100th anniversary of the end of World War I,, what would you say to commemorate the end of this war on the centennial? ADAM HOCHSCHILD: I’d say looking back at this war, which remade the world for the worse in every conceivable way, I’d like to see all of us honor the people who understood at the time that it was going to do that, and who refused to fight, or supported those who refused to fight. In France Jean Jaures, the great socialist leader, opposed the war that he saw coming; spoke out very forcefully against it just before the fighting began to Brussels, and met with the leader of Germany’s Socialist Party, and declared we’ll never make war on each other. Because of that when he came back to France he was assassinated, and the war began several days later. In England, the country’s greatest philosopher, Bertrand Russell, the country’s greatest investigative journalist, Edmund Dean Morel, both of them were sent to prison for six months for their opposition to the war. Here in the United States many people spoke out against the war. Jane Adams, the pioneer social worker. Eugene Debs, the socialist party leader and railway union leader spoke out against the war after the United States entered it. And for this he was sent to prison, and he was still in prison in November 1920 when he received nearly a million votes for president on the Socialist Party ticket. Emma Goldman, a great anarchist leader, organized against the draft. For that she was sent to prison for two years. And when she was put on trial for this she was extremely eloquent. She told the jury when she was accused of being unpatriotic, she said, “My patriotism is like that of a man who loves a woman, who is enchanted by her beauty, but who sees her faults clearly.” And I think that’s what patriotism should be like. And these are the people I think need to be honored on Armistice Day. BEN NORTON: Well, thank you so much for providing your very interesting and informative analysis. We were speaking with Adam Hochschild, who is a renowned historian, journalist, and author. He is the author of nine books. His latest, Lessons From a Dark Time and Other Essays, which just published this October. And he also has a book on the topic of our discussion, World War I, that was published back in 2011, and it’s called To End All Wars: a Story of Loyalty and Rebellion, 1914-1980. Thanks a lot, Adam. ADAM HOCHSCHILD: OK. Thank you, Ben. It was a pleasure. BEN NORTON: Any time, and we’d love to have you back. For The Real News Network, I’m Ben Norton.